Supercharge Your Favorite Sampler with These Amazing Freebies! 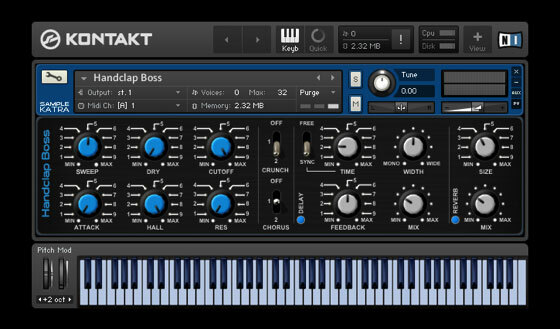 Native Instruments Kontakt is one of the most popular music production software samplers. 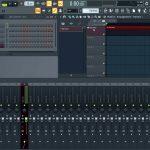 There are plenty of commercial libraries for it, but in the following article, I will present you a list of the best free Kontakt libraries, covering a wide range of types. 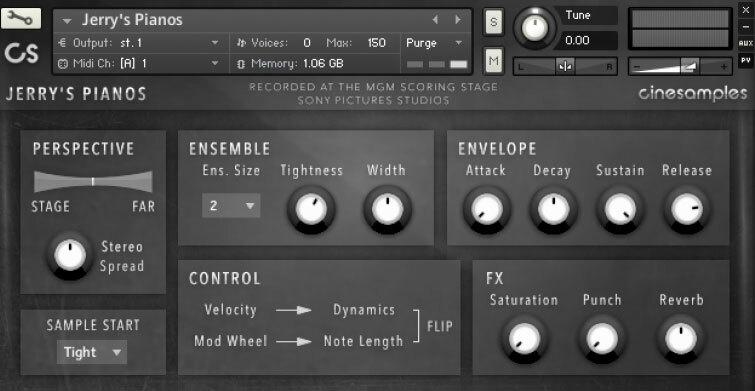 Jerry’s Pianos released by Cinesamples is a sample library for Kontakt featuring a dual Steinway Grand Pianos setup which was recorded at the Sony Scoring Stage in Culver City, California. This piano instrument mainly concentrates on the lower range, with sustains and staccatos, which make it perfect for dramatic passages or experimental productions. Amore Grand Piano is a sampled Yamaha grand piano “close-miked in stereo”. The samples were compressed to have a total size of under 200MB. Amore Grand Piano sports an intuitive 3-page GUI with controls for decay, EQ, IR reverb, delay and keyboard response. 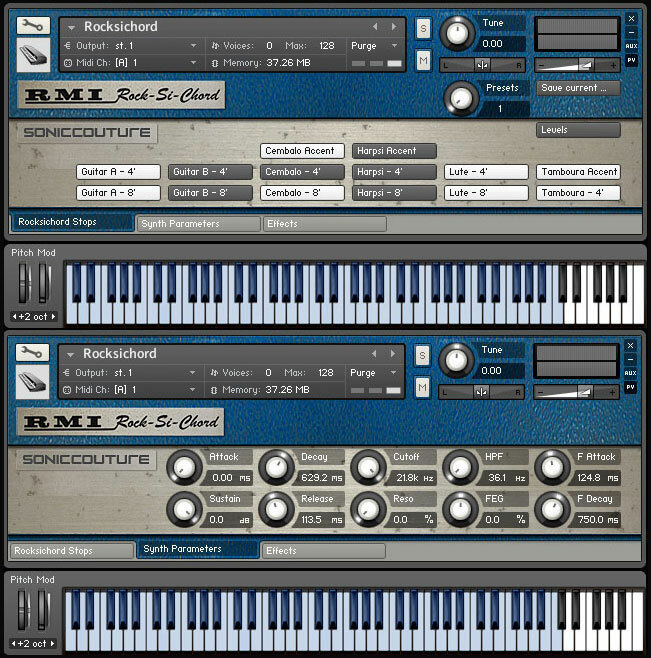 Soniccouture’s RMI Rocksichord is the virtual emulation of the Rock-Si-Chord (“Rocksichord”) electric harpsichord, a prog-rock icon used by The Beach Boys, Genesis, Dr John, John Lennon, Terry Riley, and other similar artists. 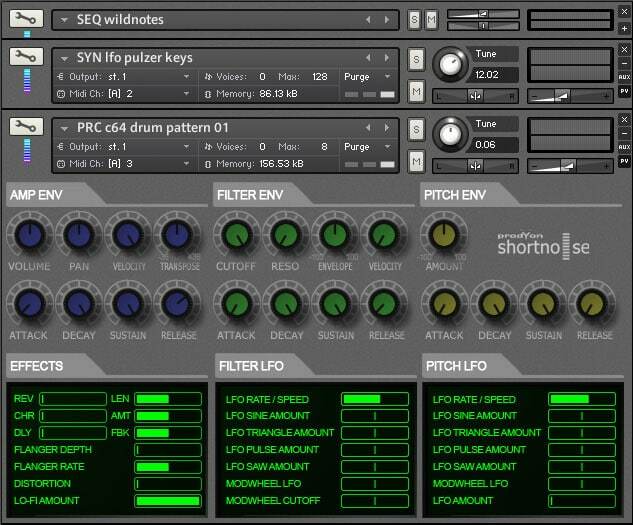 RMI Rocksichord brings all the 12 original stops and the KSP stops mix module straight into your DAW. VS Upright No. 1 by Versilian Studios was designed as a light-weight sketching piano. This instrument (VST/AU and Kontakt) is a beautiful example of clean sampling of an upright piano, offering a dynamic range and a bright, clear tone. Zvenigorod is a small USSR toy piano with a unique sound that resembles a xylophone. You can use it in the main melody or in the background of your tracks. It contains 1 instrument with 10 presets. 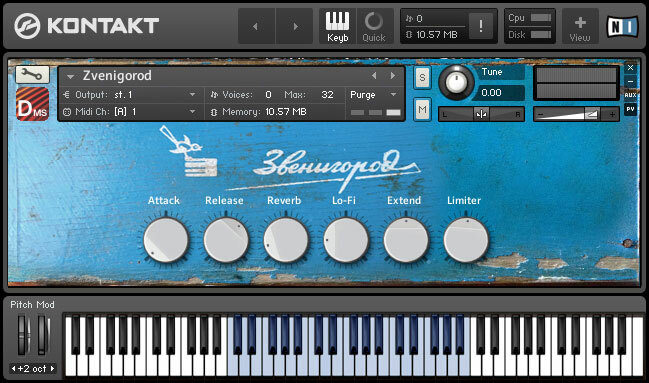 Piano in 162 is one of the best free Kontakt libraries on the internet. Piano in 162 is a sample library featuring a Steinway Model B grand piano and comes in various formats including Kontakt and SFZ. You get high-quality recordings and deep sampling (five dynamic levels, two round robins, and separate pedal on and off samples) packed in a simple and intuitive GUI. 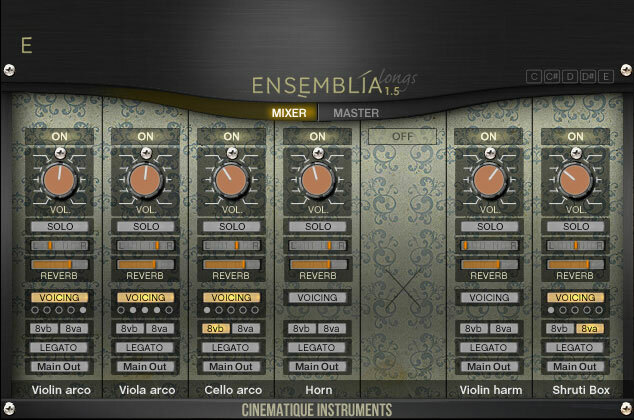 Ensemblia is just one of the free Kontakt libraries by Cinematique Instruments, bringing the sound of a modern chamber orchestra. Ensemblia is suitable for any musical project that requires organic and truly natural music, for example, pop, RnB, but also orchestral hip-hop and cinematic. 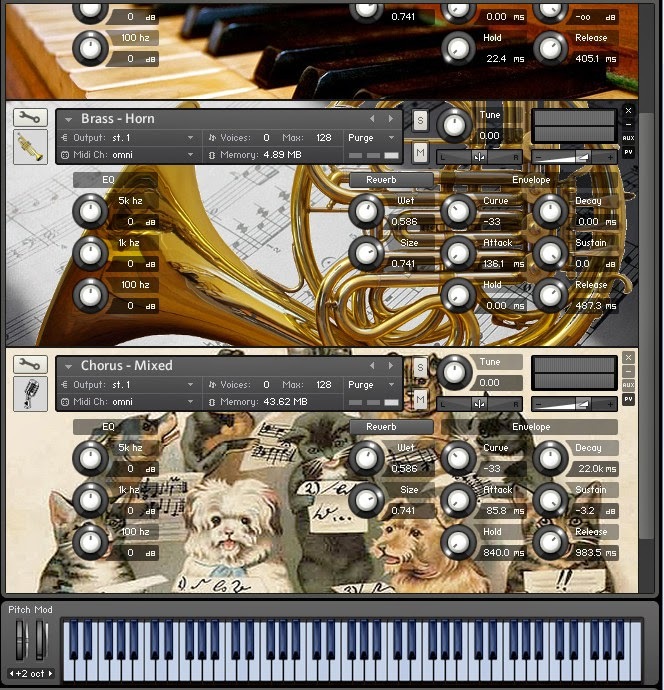 It features a selected range of classical instruments combined with a fine mix of unique sounds. Next on our list is The Total Composure orchestra by Xtant Audio, a sample library constructed with orchestral sounds from public domain only. It was the first to offer such a library exclusively for the Kontakt format. There are over 1,500 samples in this library totalling more than 1.5GB, but due to Kontakt’s lossless compression, the size goes less than 500MB. 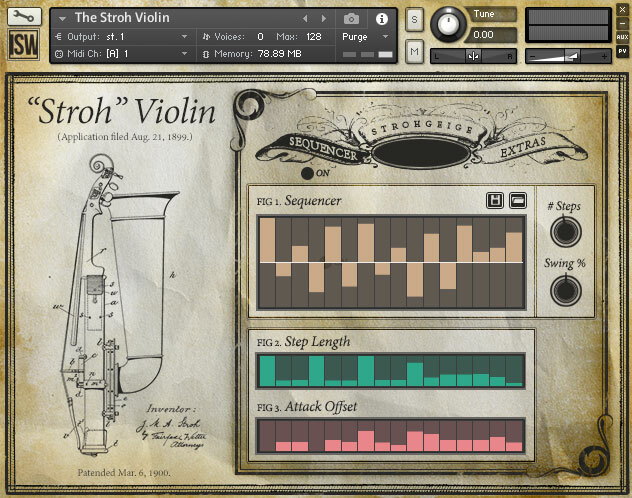 Sonatina Symphony Orchestra for Kontakt is another Kontakt library project based on public domain samples. It contains the samples recorded by Mattias Westlund plus some extra sounds by the same author. Each instrument has all articulations included in a single Kontakt patch. If you look instead for that warm and massive sound of a full symphonic orchestra but you can’t recreate it with regular plugins, then Free HD Orchestra Chords is for you. The chords were recorded with Genuin – multiple winners of the German Music Prize, The Klassik Echo, and remind you of big Hollywood blockbusters such as “The Lord Of The Rings”. The Stroh Violin is a self-amplified variation on the classic violin design with a resonating metal body and horn. Impact Soundworks have sampled it with three custom-mapped articulations and a rhythmic sequencer. The Kontakt instrument looks and sounds amazing. E-Ukulele (free) is a sampled Les Paul model electronic ukulele from Epiphone. Started as a personal project, now is available to the public for free download. All the samples in E-Ukulele are mixed totally dry, so you have total freedom of spatial placement and the role E-Ukulele plays in your production (like a melodic or background instrument). Etherealwinds Harp free Kontakt instrument is the virtual replica of a diatonic, 22-string lap harp recorded by the Newgrounds musician Etherealwinds. The main characteristic of this type of instrument is the Lap harps, which are smaller and have approximately half the strings of a standard concert harp. AcousticGuitar FREE by Pettinhouse features a stereo steel string acoustic guitar recorded in 16-bit 48Khz audio quality. Like the full libraries, it is recorded stereo with microphones and it has round robin for alternate notes, full sustain, natural decay. The pocketBlakus Cello consists of two instrument patches – a legato for long sustained notes and a spiccato for short notes. The sounds were recorded dry so you can add your own reverb to give the cello your feel. Mute&Slap is a cool guitar instrument for playing muted guitar grooves combined with slap notes. Is perfect for funky, also for rock – you can play power chords with a bit of distortion. You can combine muted passages with slapped notes just by playing harder on your keyboard in order to introduce a slapped note. The amp and the FX section is fully activated. You can use the distortion, the EQ, Reverb, Delay, Phaser, play notes with Wah Wah effect moving up and down your modulation wheel. Cryptar by Atom Hub is a strange but beautiful experiment, some kind of guitar and piano instrument with “omnipresent sound defects”. It is based on acoustic guitar samples with 3 fake round robins. There are 11 NKI files, each with its own character and feel. Intimate Strings LITE is a stripped down version of a much bigger instrument, but is fully playable and very useful. It features 4 virtuoso string players, 3 round robins, true legato and a natural tone. Perfect for orchestral, pop, urban etc. 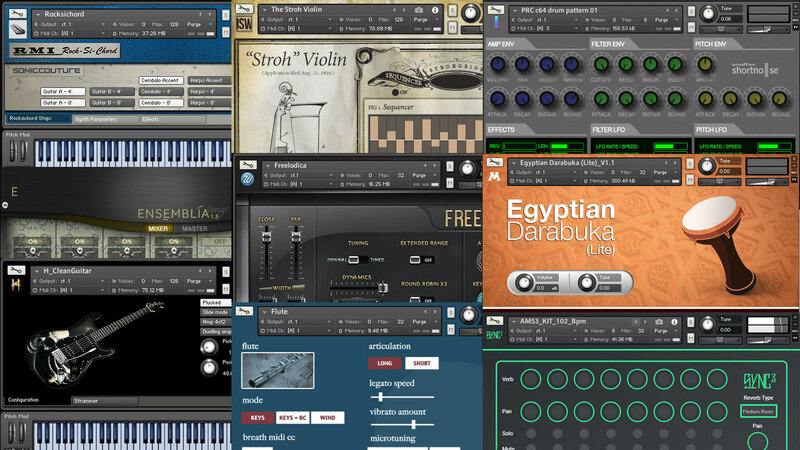 For more free Kontakt libraries, just browse our main Kontakt category with over 200 of articles! At the base of Simple Flute stay 130 samples recorded in 24-bit 44 kHz audio quality. There are 3 round robins but only for short articulations, the legatos being virtually generated. Simple Flute’s GUI sports 3 smooth dynamic layers which can be controlled by modulation wheel. Also, the convolution reverb module has 16 unique IR’s. Recorder by Mihai Sorohan is a sample library for Kontakt, Mu.Lab and SFZ featuring the sound of a Yamaha Soprano Recorder. All the samples were captured at 32-bit float, 44.1 kHz sample rate, then converted at 24-bit. The Kontakt patch has a fake round robin script coded by SzcZ aka Fairly Confusing. 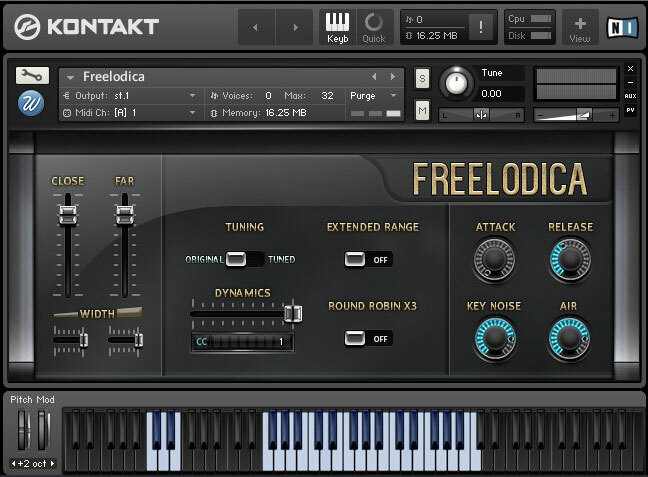 As the name suggests, Freelodica is based on samples recorded from a Melodica. Wavesfactory used 2 microphone positions with stereo and width controls. You get 3 optional round robins and extended playable range, plus the dynamics are controlled by the selected CC number. A great feature is that you can select between original tuning or perfectly tuned samples. Alpine Oboe by The Alpine Project is a simple Kontakt instrument based on samples from Sam Gossner’s VSCO CE. It sounds very good and is fully playable, making it suitable for orchestral, cinematic, game music, ambient etc. Embertone’s Ivory Wind is based on an 80-year old wooden/ivory instrument and manages to transmit its distinctive and rich tone, as well as the true legato. It features a 3 round set of samples and modwheel controls for vibrato. 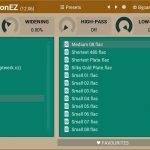 Shortnoise by Prodyon is a huge 6GB electronic sample library with over 300 Kontakt instruments. It was previously sold for $199, but now is completely free. Expect electronic grooves, arpeggiated sequences, manipulated synths, cinematic FX etc – making it perfect for electronic music, film scores and experimental sound design. 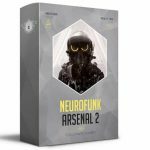 SampleScience offers a free set of 31 Kontakt instruments, including retro analog basses, FM synthesis keys, early sixties computer-generated sounds and chiptune tones. 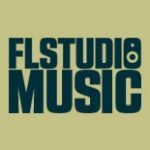 These free Kontakt libraries are taken from previous and upcoming projects. 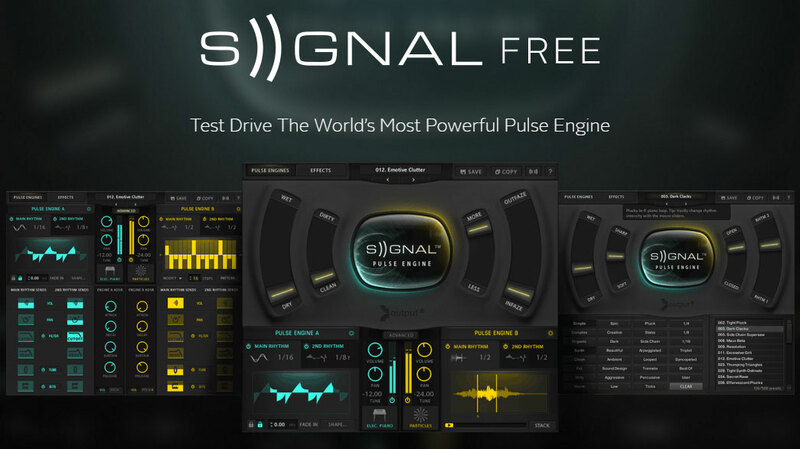 The free version of highly-acclaimed Signal by Output comes packed with 2GB of content. That’s 25 pulse instruments taken from the full library. Signal Free is fully functional, the only differences being that it works only in full version of NI Kontakt and, of course, there are fewer patches. Handclap Boss is Sample Katra’s interpretation of Boss HC2 hand clapper device from 1984. 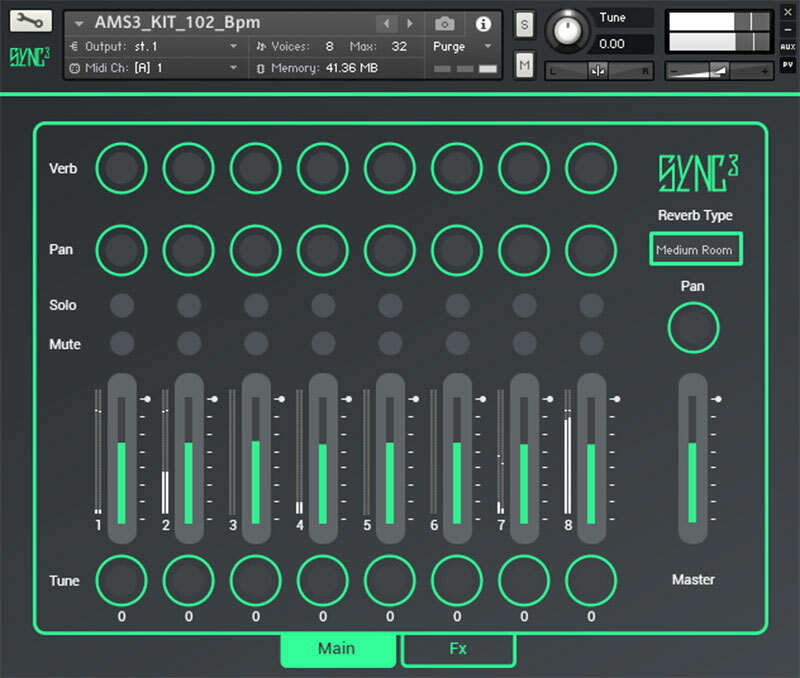 It includes the same original controls but adds some enhanced tone-shaping features to bring it in line with modern music production and workflows. Besides claps, Handclap Boss also contains whistles, pops, clicks and whooshes. Each sample has eleven round-robins to capture plenty of nuances. 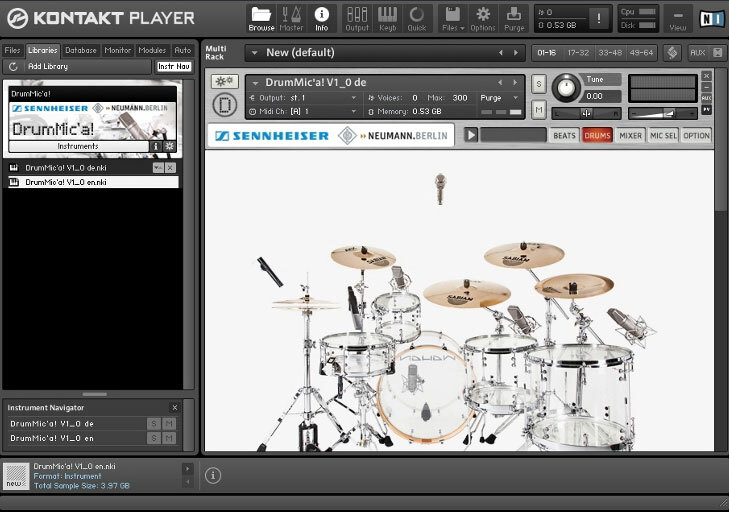 Scott Drums is an amazing free virtual drum kit for Kontakt by Ivi Audio. At its base is a sampled medium-sized drum kit with high-quality microphones on every piece. In addition to the usual drum sounds found in every sampled kit, Scott Drums also includes snare rolls, stick clicks, cymbal scrapes etc. The sounds were recorded in a world class studio, with many dynamic levels and round robins for every piece of the kit. 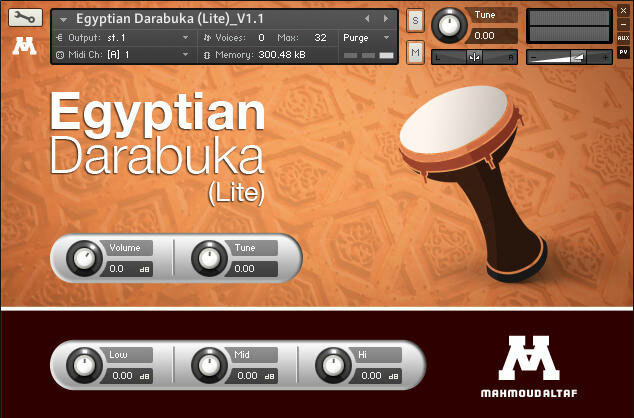 Egyptian Darabuka Lite is a superb sample library of a Darabuka percussion instrument and contains sampled articulations that Mahmoud Altaf, the author, mostly uses. He recorded the instrument with 4 dynamic layers per articulation and with 2 dynamic layers for the rolls. There are enough articulations and velocity layers to create a fairly realistic performance with it. DRM Drums by Wave Alchemy consists of 380 drum samples from a vintage Vermona DRM drum machine. All samples have been recorded through an API pre-amp with every sound boasting eight round robin variations and four velocity layers. Available for Kontakt 5+ and Battery 3. I continue the free Kontakt libraries roundup with Sennheiser DrumMic’a!, a great instrument featuring a direct comparison of different microphone positions on a complete drum kit. Maybe it sounds too technical, but believe me, this freebie is amazingly useful, especially you’re looking for a “real” drum kit that costs nothing. Atom Hub’s Candlestick is an experimental percussion instrument based on the recorded sounds from metal and wooden parts of a candlestick, played by fingers and nails. It brings 21 patches from 90 samples. Audio Imperia offers Epic Trailer Sounds, a freebie produced by Australian composer and sound designer Joshua Crispin (aka Generdyn). It includes atmospheres, braaams, effects, hits, risers, pulses and other patches suitable for cinematic productions. 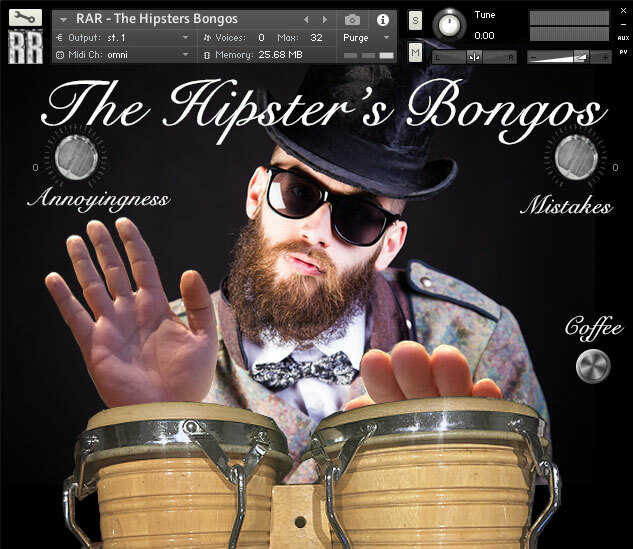 Rattly & Raw brings The Hipsters Bongos, a “multisampled pair of the most terribly authentic sounding Hipster’s bongos”. It is a fun instrument, with “Annoyingness” and “Mistakes” controls – first increases the frequency of “fully authentic Hipster comments”, the second sets the frequency of missed hits, duff notes, scrapes and accidents. With Drummers Paradise, bigcat Instruments took the drum samples recorded by Nathan Sheeran and packed them into 8 Kontakt patches, perfect for low RAM situations. There are eight drum kits – 7 acoustic and 1 electronic. Sync 3 LE by Audio modern contains 4 of the 28 patches included in the full release. “Intelligent polyrhythms” such glitch grooves, ambient sounds, IDM sequences, minimal loops, percussions, drum hits and more. All the sounds are royalty free. Clare Solo by Ivy Audio is a highly advanced solo vocal library featuring the voice of Clare Demer, an undergraduate vocal performance major at The University of Arizona. Suitable for orchestral, cinematic, ambient, but also pop and EDM. The aim of Ivy Audio was to create one the most playable and inspiring vocal library. You decide if they succeeded. 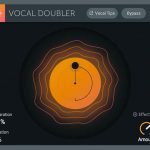 SoundBetter Singers is a free sample library of high-quality background vocals featuring 5 world-class singers. Expect stacked background vocals, as well as different vowels across each singer’s range. 1.2 GB of compressed samples. OK I’m a bit biased, but awesome list. 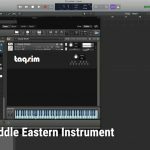 I’m obsessed with freebie instruments and you have some great ones in here I’d never heard of. Keep up the great work! Just go through each link and download the instruments individually from their respective pages. Seriously, the process for downloading is no easier than learning what a red dot is. Click the link(s) that are underlined and continue he process with the website you newly opened. Congratulations, you just achieved a life goal… that is… opening links. Ma dove sta il download? Scott Drums aren’t even free. There’s the “donation” version, and the “free” version doesn’t even work.